Canton, OH. 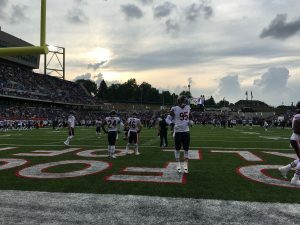 – The NFL’s 2018 season will be the 99th in the league’s history, and it all got underway at the birthplace of football in Canton. 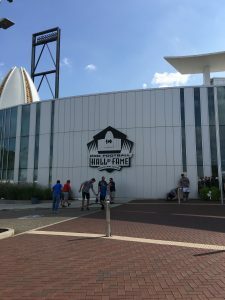 The first weekend in August brings the annual Enshrinement Week celebration to the Pro Football Hall of Fame. 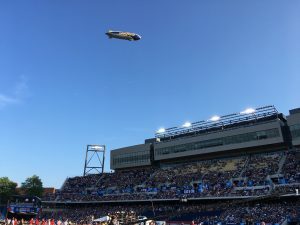 Where football fans from all over the country converge to northeast Ohio to celebrate the new class of enshrinees’, and honor the legends of the game of football, with events and entertainment throughout the weekend. 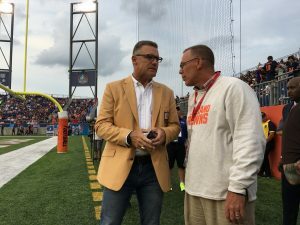 Below are some of the pictures and videos captured in Canton during Enshrinement Week. 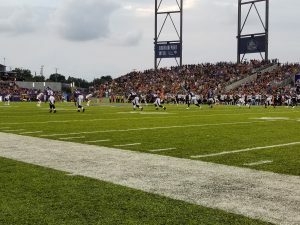 Thursday Nights Hall of Fame Game from Tom Benson Stadium. The Baltimore Ravens defeated the Chicago Bears 17-16. Hall of Fame pregame presented by Parkway Chrysler, Dodge, Jeep & Ram/ Kickin Kountry / And Speedie Sewer & Septic Cleaning. 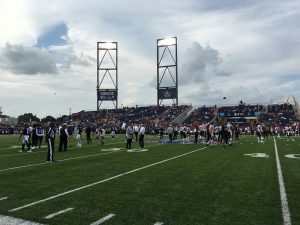 Opening kickoff for the HOF game. Coverage provided by Parkway Chrysler, Speedie Septic and Kickin Kountry. Bears lead 7-0 with 8:17 to play in the opening frame. Halftime update from The Hall of Fame Game. 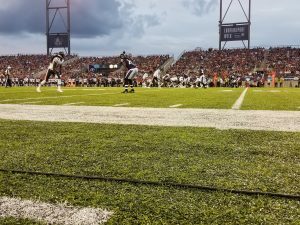 Ravens lead the Bears 10-7. 2 point conversion no good, 17-16 Baltimore. 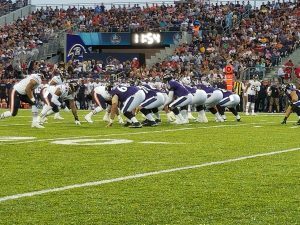 Final score from the Pro Football Hall of Fame game, Baltimore 17 Chicago 16. All coverage provided by Parkway Chrysler, Dodge, Jeep & Ram: Kickin Kountry: and Speedie Sewer and Septic. 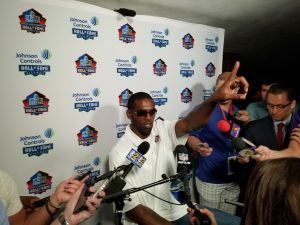 Randy Moss at Media Day, talks about being inducted. Ray Lewis garnered the most attention on media day. Ray Lewis putting on a show, as always. Media Day coverage provided by Parkway Chrysler, Dodge, Jeep & Ram: Kickin Kountry: and Speedie Sewer and Septic. Brian Urlacher, calm and cool today at Media Day recollecting on his career. Brian Dawkins, one of the most passionate football players of all-time. One of Philadelphia’s finest. Houston Oiler great Robert Brazile 💪🏈Media Day & Enshrinement Week coverage provided by Parkway Chrysler, Dodge, Jeep & Ram: Kickin Kountry: and Speedie Sewer and Septic. Robert Brazile, officially enshrined as a member of the Houston Oilers. 2x Super Bowl Champ, 5x First Team All-Pro, and he anchored the offensive line of the Lombardi era Packers. Jerry Kramer..officially enshrined. 9 seasons with 100+ tackles, 41.5 career sacks, 22 interceptions, 2005 Defensive Player of the Year, and 8x Pro Bowler. Brian Urlacher is officially enshrined. Over 1,000 career tackles, 37 interceptions, 36 forced fumbles, 9 Pro Bowls. Brian Dawkins, welcome to the Hall. 15,292 career receiving yards, 982 receptions, 156 touchdowns, 6 Pro Bowls, 1998 Offensive Rookie of the Year. One of the greatest WR’s ever, RandyMoss, officially enshrined. 2,061 career tackles, 41.5 sacks, 19 forced fumbles, 31 interceptions, 12 Pro Bowls, 2x Super Bowl Champ. 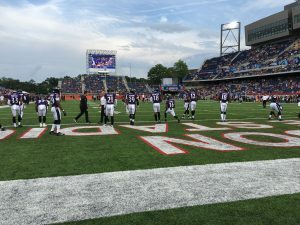 Ray Lewis officially enters the Pro Football Hall of Fame. The entire Pro Football Hall of Fame class of 2018. Enshrinement Week concludes with the Roundtable Discussion. One last time to hear the enshrinees’ tell stories and discuss the game of football.